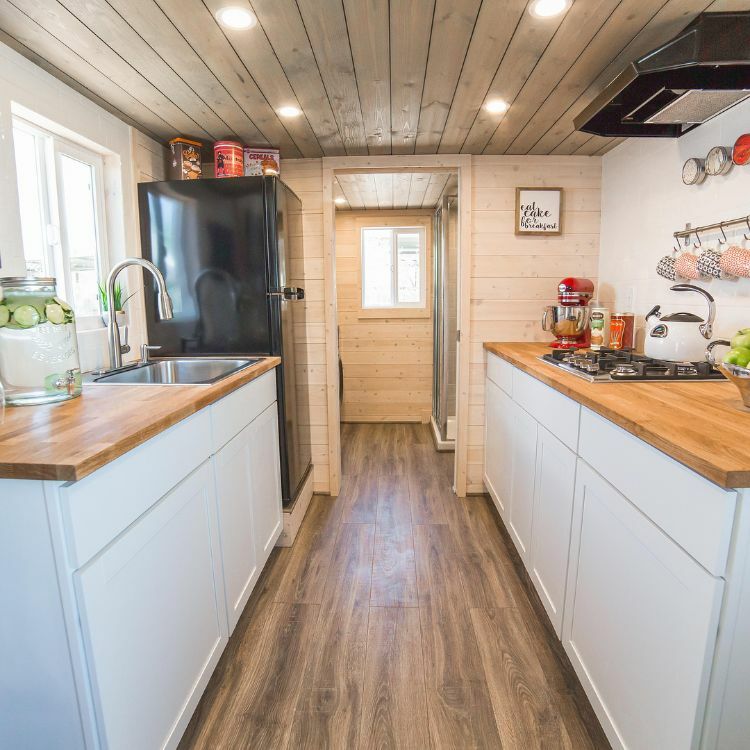 Uncharted Tiny Homes customizes tiny homes for its customers, creating personalized, made-to-order spaces. The company understands that each customer has plans for the tiny space and manipulates its designs for every individual's needs. 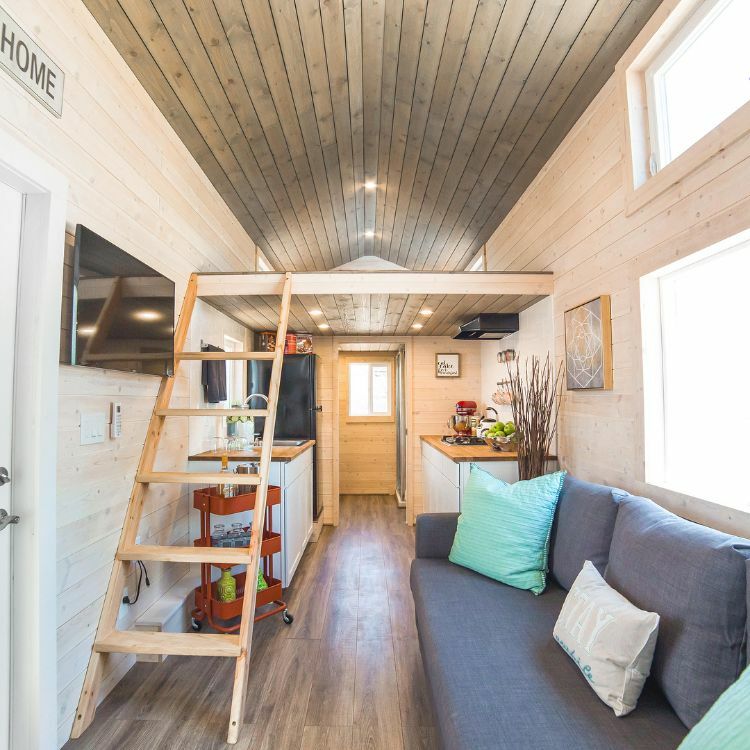 The company customized The Bunkhouse to be used as an RV for its owner. 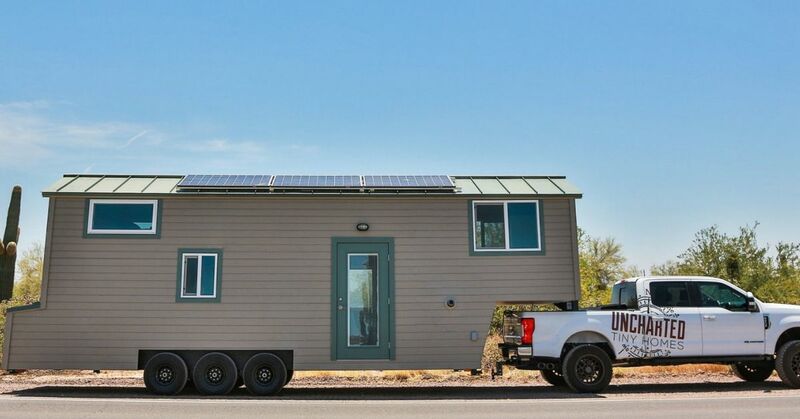 The Bunkhouse comes with solar power and a gooseneck trailer. Now the owner can see the country in both comfort and style. 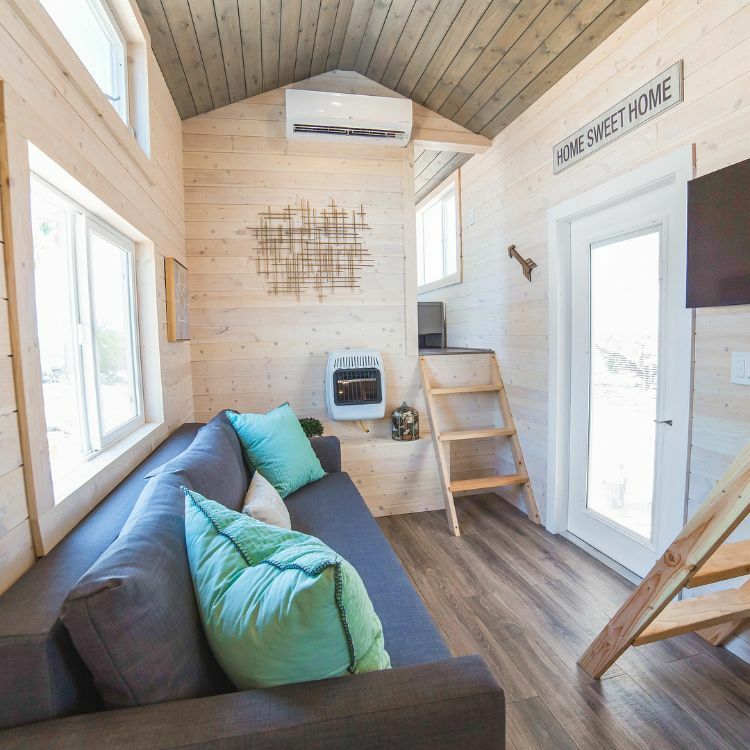 The door opens into the sitting area of this tiny home. Ladders lead up to the bedrooms on either side of the house. Large windows and light wooden walls keep the space bright. A ladder leads to the master loft, and the kitchen sits above it and to the left of the front door. The two sets of countertops mean plenty of works spaces while cooking. A butcher block countertop nestles a built-in cooktop. This particular unit does not feature an oven. 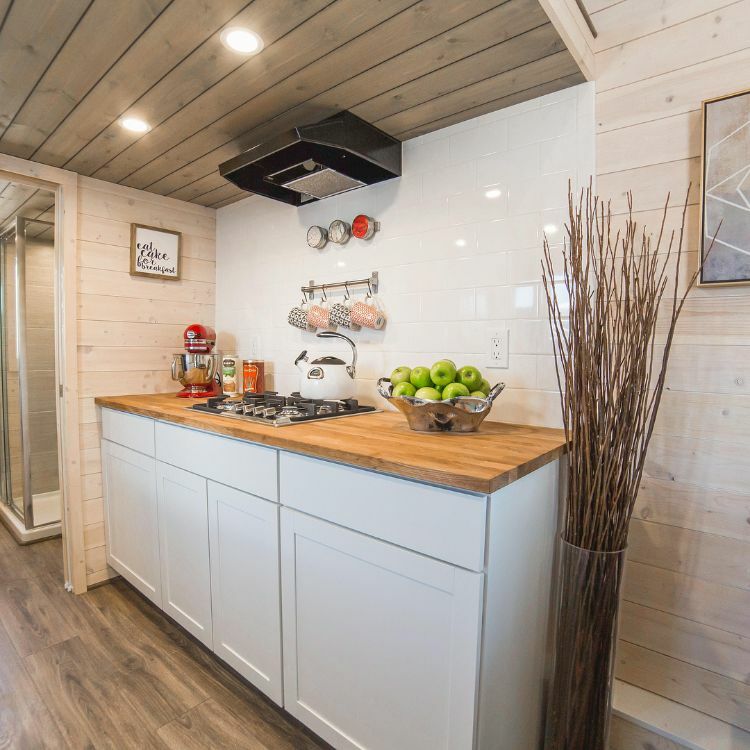 A stainless steel sink and full-size refrigerator sit across from the stove. 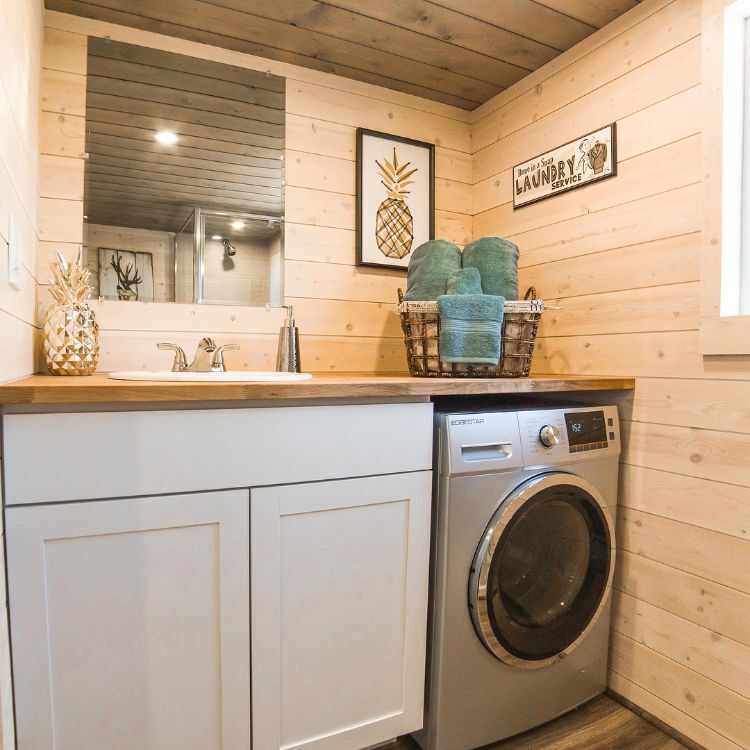 The bathroom is just past the kitchen and sports a washer/dryer combination, which works well for doing laundry at home. Extra counter space in the bathroom makes folding easy. 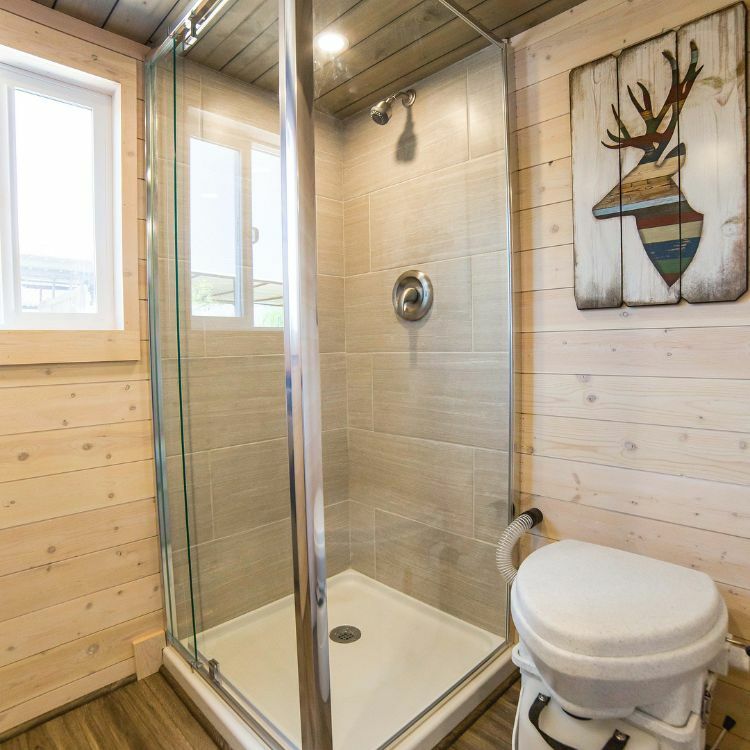 A stand-up shower and toilet finish out the bathroom, making the package complete. With such sweet traveling accommodations, ideas of a fancy hotel probably never even enter the owner's mind.